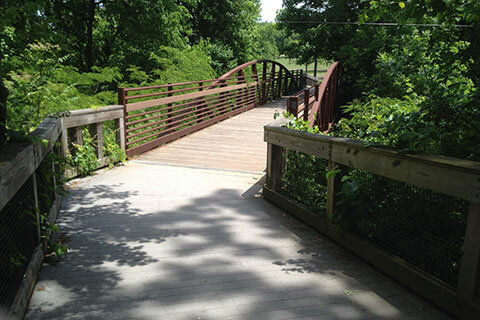 Richland Creek Greenway is used by walkers, power walkers, stroller pushers, runners, kids on bicycles, bicyclist, and ???. The trail connects the Sylvan Park area with White Bridge Road. 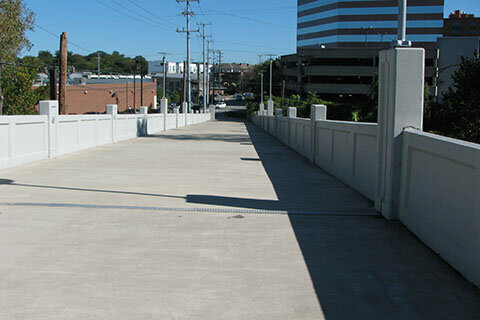 Prior to the greenway, the only access was via major roads with limited sidewalks. I have used the trail regularly since it opened in 2007. The path is well maintained; the Park's crews mow, sweep, and even patch holes regularly. The Flood of 2010 did considerable damage to the golf course and the greenway. A privy is located at the White Bridge Road Trailhead and another has been stationed at the Wyoming Trailhead (May '14). The portable facilities may come and go, as they are not permanent structures. 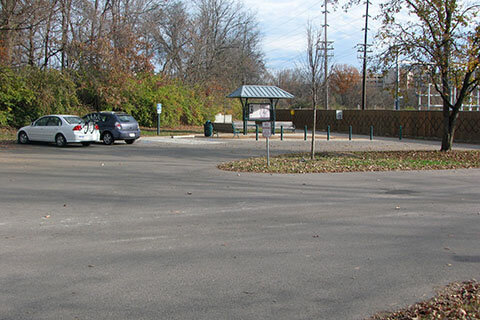 Restrooms might also be available at the golf course clubhouse, the Community Center, and at the shopping areas of Harding and White Bridge roads. Water is not available, though I have seen a water fountain near the Little League baseball fields. The fountain might work, but the best bet is to bring water from home. There are 0.25 mile markers on the path. The distances start from McCabe Trailhead. Dutchmans Curve is a nice historic stop. It is a unique area worth sitting on the bench for a while. 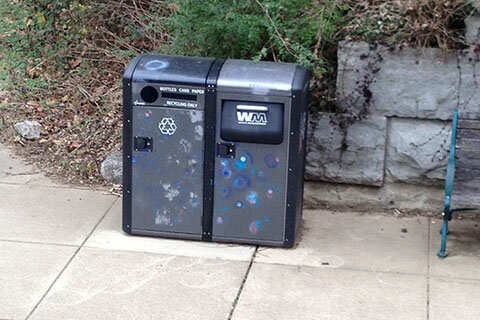 There is a trash and a recycling bin at Dutchmans Curve. The bridges crossing Richland Creek are great. Especially the long one which spans from near Dutchmans Curve to the junction with the spur to Lions Head. The bridges may be slippery when wet. There are signs warning the path users of errant golf balls. Be aware of the potential hazard. If you are looking for a longer path, if you do the loop and then out and back on all of the connector spurs you add 1.25 miles each way for a total distance of 5.25 miles! (2.75 + 1.25 + 1.25) See mileages below. Bicyclists, remember there is a speed limit on the greenway and please yield to everyone. Lots of folks use headphones (earbuds) while using the path. At times it is hard to negotiate passing. Be patient. Much of the path is ADA compliant, but there are a few steep sections. Note: While the path near the Clubhouse is under construction (May '14) it is still possible to complete the Loop. On your first attempt you might have to stop and scratch your head to figure the best route. Just be careful navigating the entrance drives and parking areas. I followed the drive toward the Clubhouse, went around in front of the Clubhouse, and then took the drive back to McCabe Trailhead. This is a fun path. 0.40 - Nashville St Community College Connector (Knob Rd access is at 0.15 mile along the connector. The link below opens in a new window.